There are many reasons to choose fair-trade products, they give back to the people who make them, they are unique handmade items and the are out of the ordinary. Fair-Trade gifts are handmade. They have that irreplaceable personal touch of having been individually made by a skilled artisan rather than made by machines. Each beautiful hand crafted piece is unique and because of this individual touch they make perfect gifts. These stunning ceramic coffee mugs are made in South Africa, each mug is painstakingly hand painted, no two mugs are the same. Fairtrade gifts are not ordinary. They come from many different countries around the globe so the range is amazing and the items often fascinating, not only because of the stories behind the products and because of the different ways in which they are made and the different cultural influences which influence the designs. 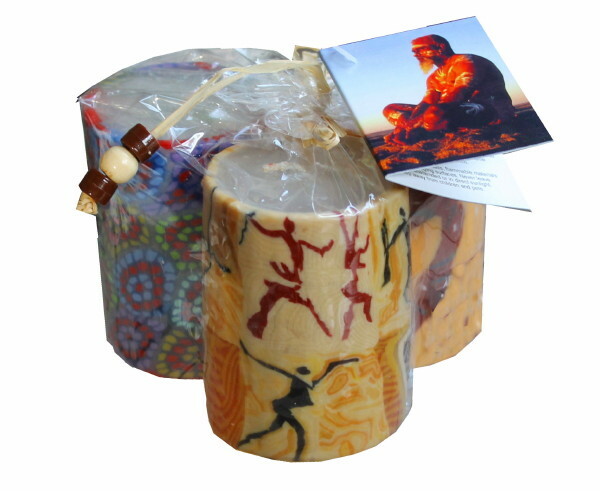 This gift set of candles is the perfect example, designed by Indigenous Australians and made in Swaziland. 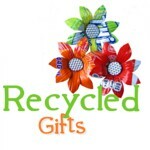 Fairtrade gifts are ecofriendly gifts. Many of the arts and crafts are made from recycled materials. 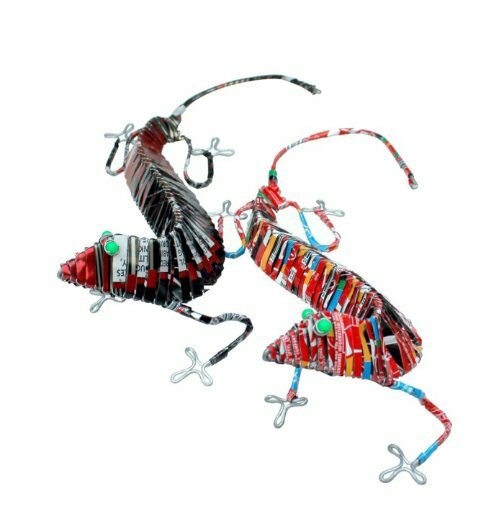 These cheeky coloured lizards have been crafted from discarded soft drink cans. So if youre looking for that special gift look at Fairtrade products, Im sure youll be delighted at what you discover.